Rev. Dr. Melvin Cotton, Jr., P.Th.D. Reverend Dr. Melvin Cotton, Jr. is married to the beautiful Reverend Dr. Bessie Cotton. They have five children: Jamar, James, Melvin III, Eryia, and Mia. Rev. Cotton's educational accomplishments include a Master of Theology Degree from the United Theological Seminary and Bible College in Monroe, LA and a Doctorate in Theology Degree from Andersonville Theological Seminary in Camilla, GA.
Rev. Cotton is the former and 1ST President of “Pastors With A Purpose,” former instructor with the United Theological Seminary and Bible College, former instructor with the Second Bethlehem Baptist Association United Congress of Christian Education, and former Second Vice President for the Marion County Branch of the N.A.A.C.P. Dr. Cotton, a licensed Real Estate Consultant, is owner of Cotton & Cotton Realty, Incorporated and former owner of Lots4U Florida, Inc. He served three years in the U.S. Army before transitioning to the U.S. Air Force. During his military career, he earned a degree in Electronics and was certified as an Airport Firefighter Level I, II, and III. He received Achievement Medals, a Commendation Medal, and other accolades before receiving an honorable discharge. Rev. Cotton is a man after God's own heart. He was ordained as a Deacon and served as Deacon Co-Chair before accepting the call to preach the Gospel of Jesus Christ. He has served in numerous ministries including Street Ministry, Sunday School, Male Chorus, Director of Youth Skits/Plays, and Youth Minister. He loves helping people and reaching lost souls through sharing the Word of God. Dr. Cotton has 12 preachers in his ministerial staff, all of whom have acquired a minimum of a bachelor’s degree or is at least enrolled in seminary college study to complete their degree. Dr. Cotton believes in education and requires it. Since December 2008, Rev. Cotton has served as pastor of Ramah Missionary Baptist Church, Inc. During his tenure, God has bestowed more than a hundred historical moments on Ramah. In 2009, God gave Rev. Cotton a vision to begin a new journey, one that would result in more souls coming to Christ. On April 1, 2010, six area churches came together and voted unanimously to join the General Baptist Convention of Florida and form an area association now known as the Big Sun District Association. The members also voted unanimously to name Rev. Cotton as its first Moderator, which he humbly accepted. 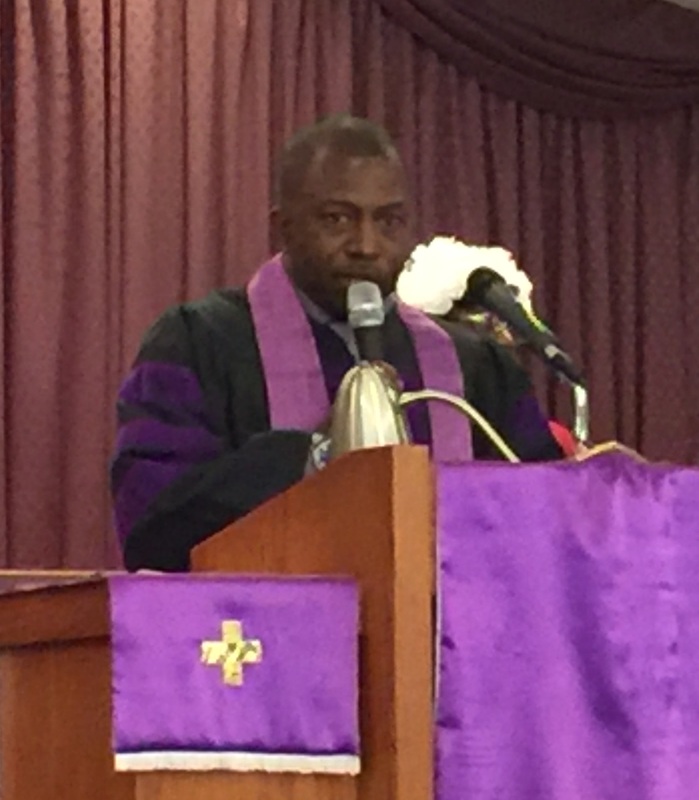 As Moderator, Rev. Cotton began making short and long term plans for the Association that would leave lasting effects locally and statewide. After serving his 5-year tenure as moderator, Dr. Cotton passed the torch on to the next moderator who is carrying on God’s work.